Protecting your mattress with a sheet is essential for two reasons: it keeps the mattress looking new and increases its lifespan and ensures better hygiene during sleep. There are two styles of sheets: in the form of a fitted sheet with elasticated corners, easy to install, these sheets ensure a good fit and without folds, but also in the form of a "tray", i.e. 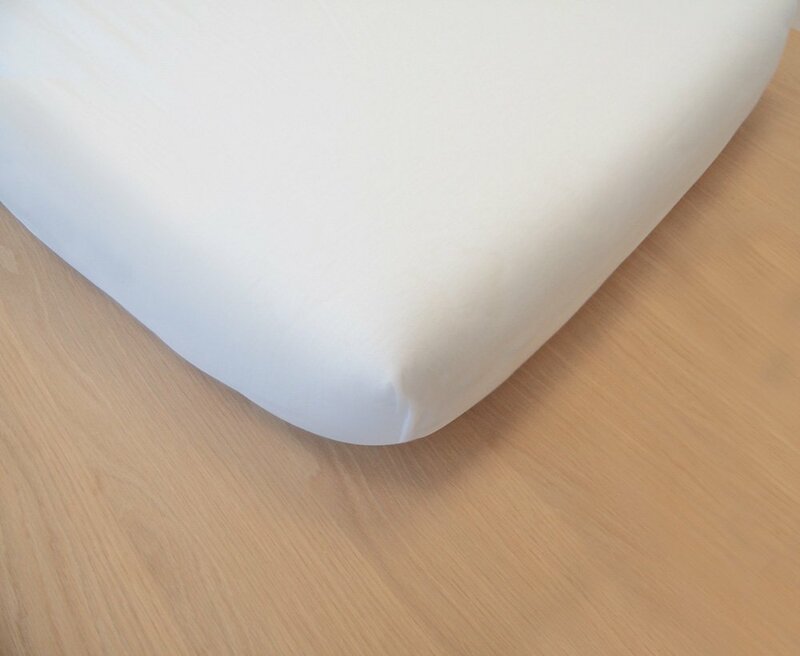 a piece of waterproof sheet that is fixed on the corners by elastic bands passed under the mattress. Kadolis recommends the fitted sheet-shaped sheets, which are easier to install and provide the best protection for the mattress. At Kadolis we refuse to use chemical treatments on our products to make them antibacterial, anti-mite or antiallergic, preferring to use natural materials with naturally antibacterial properties such as organic cotton or Tencel®, which by their very structure and ability to easily wick away moisture, prevent the proliferation of bacteria and mites, so Kadolis sheets offer a totally healthy and natural bedding for the whole family. 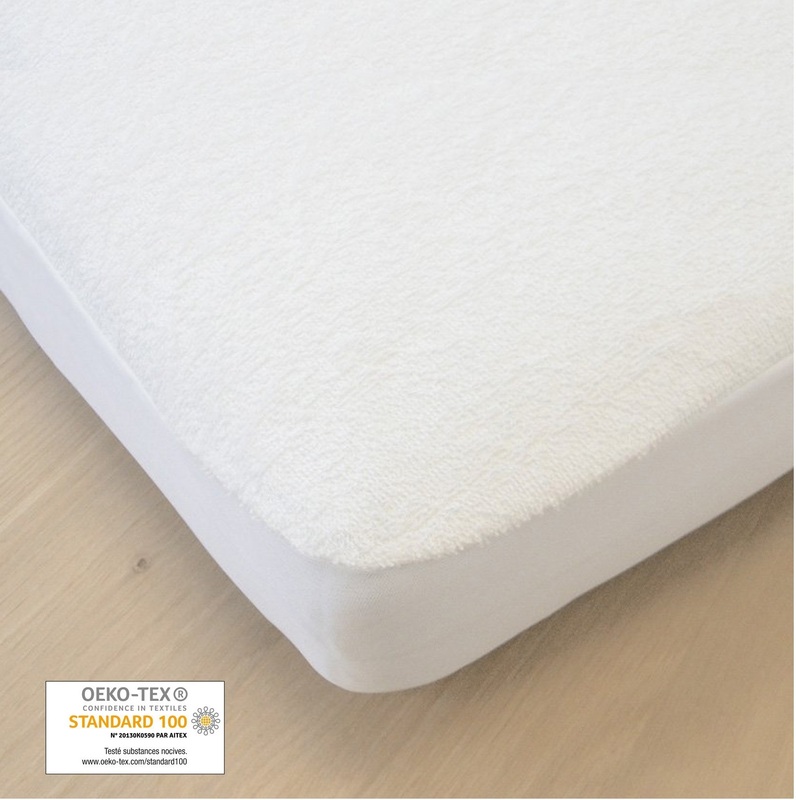 A 2 in 1 fitted sheet for double protection: a Tencel® face that ensures good temperature regulation during sleep to limit excessive perspiration, a polyurethane face to protect the mattress by blocking liquids without hindering air circulation, the fitted sheet is an ultra practical 2 in 1 solution for all parents who wish to simplify their lives: a single sheet to wash, a single to fold, a single to install on the mattress, it is the ideal solution for holidays but also for everyday use.